After a long NFL season, the biggest game of the year is right around the corner. 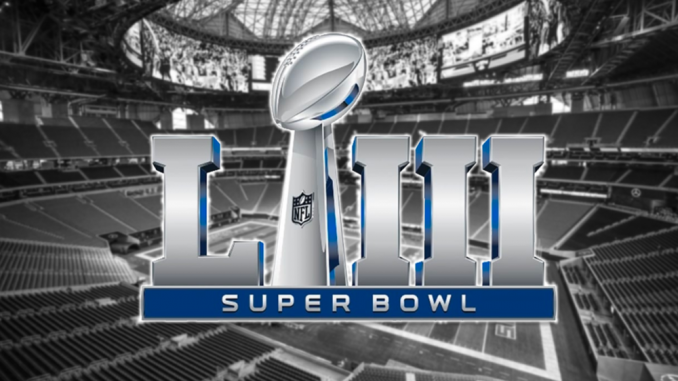 The New England Patriots and the Los Angeles Rams will face off in Atlanta on Sunday, February 3, for the fifty-third annual Super Bowl. The two teams are coming off overtime victories in the championship round and are looking to keep their winning momentum going for one last game. The Patriots are no strangers to the NFL’s biggest contest. For head coach Bill Belichick and quarterback Tom Brady, this is their ninth Super Bowl. The future Hall of Fame duo currently holds a 5-3 Super Bowl record with their eight prior appearances. For the Rams, this is their first Super Bowl appearance in 18 years. Their second year head coach, Sean McVay, is the youngest head coach to ever reach the title game. Third year quarterback Jared Goff leads their offense along with running back Todd Gurley. With such a young team, experience certainly isn’t on their side. The Rams only have a handful of players on their roster that have played in a Super Bowl before, while the Patriots are making their third straight appearance. Luckily, LA has Wade Phillips as their defensive coordinator, who recently helped the Broncos win Super Bowl 50 in 2016 after defeating New England in the championship round of the playoffs. The Patriots offensive line is going to be a key factor on Sunday. The Rams have a strong pass rush, and the best way to stop New England’s offense is to get to Tom Brady. Los Angeles has to limit his time in the pocket and force him to make quick decisions. Established as a great decision maker, Brady usually holds his weight, but making him uncomfortable is a good start to slowing him down. The Pats offensive line has been impressive in the playoffs so far. In the divisional round the Chargers only got two hits on Brady and neither of them were sacks. In the AFC Championship New England faced off against the Kansas City Chiefs who tied for the league lead in sacks. However, their offensive line stood strong, holding KC to only one hit on the star quarterback. The Rams run game is going to be important for them on Sunday. Running back Todd Gurley led the league in the regular season with 17 touchdowns and finished third in total rushing yards. Their offense is far better when he has success. With a quality performance from their running backs the Rams will have a good set up for the play action, which is exactly where they like to be. Jared Goff had the highest rate of play action passes in the NFL this year with over a third of his throws stemming from it. A successful day from the Rams running backs also brings another perk; it keeps the ball away from Tom Brady. Overall, the Rams offense needs to step up against the Patriots. They had a strong regular season with their young quarterback getting his name thrown around in MVP conversations, but they’ve been quieter in the playoffs. Goff has completed just 58.8 percent of his passes for 483 yards and one touchdown thus far. In order to avoid having a one dimensional offense on Sunday, Goff needs to play like the better version of himself. Meanwhile, New England’s offense has been nothing but hot since they hit the playoffs, with players leading the post season in passing, rushing, and receiving yards. The Rams are going to have to limit their mistakes in order to keep up with the Patriots high powered offense. Ultimately, both teams have something to prove this week. After a blown call in the NFC Championship that basically punched their ticket, the Rams have to prove that they belong on the NFL’s biggest stage and that they didn’t get there by mistake. As for the Patriots, they have been counted out for most of the season, with many saying that they aren’t as good as they used to be. With that said, here they are in their third straight Super Bowl, hoping not to lose for the second straight season. The new powerhouse team will take on one of the NFL’s best on Sunday, as the Rams and the Patriots compete for the Lombardi Trophy.